The last home game of the season for the Mumbaikars will have them face a formidable NorthEast United side that is looking to book their place in the semis. The Islanders are in fine form and will hope to get three points to close off their home leg of the tournament on a high. Gate No. 1, Andheri Sports Complex, near Azad Nagar Metro Station. 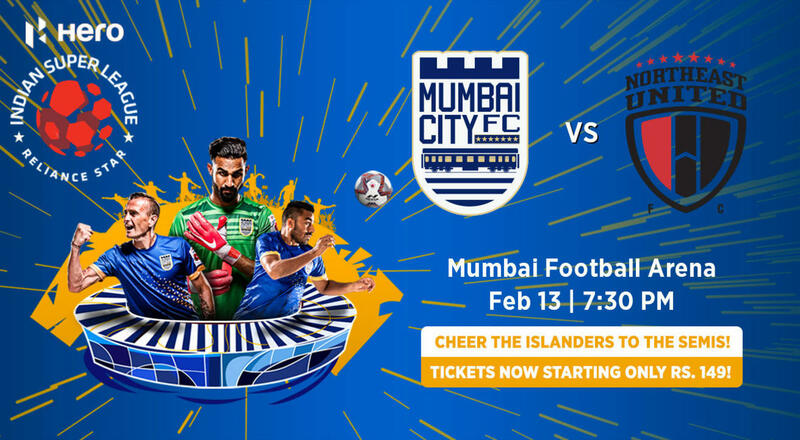 Get tickets to other Mumbai City FC home games here.